Learn this full belly dance choreography with Debbie dancing to a classic piece called Zeina. You can watch it on the BambaDebbie Youtube channel on the link below. Please subscribe and feel free to share with your friends. Scroll down for more links to learn the belly dance moves within this dance. Debbie Williams who teaches belly dancing classes in Sutton Coldfield Birmingham has put together this advanced veil belly dance choreography for you to practice in the comfort of your own home. Debbie organises hen parties at her home studio in Sutton Coldfield. Her belly dance studio holds up to 10 people. 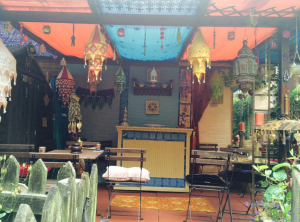 You will get a belly dance lesson plus a cup of English tea or mint tea in her fantastic magical garden, a chance to dress up and try on belly dance outfits and photograph yourselves in professional costumes. 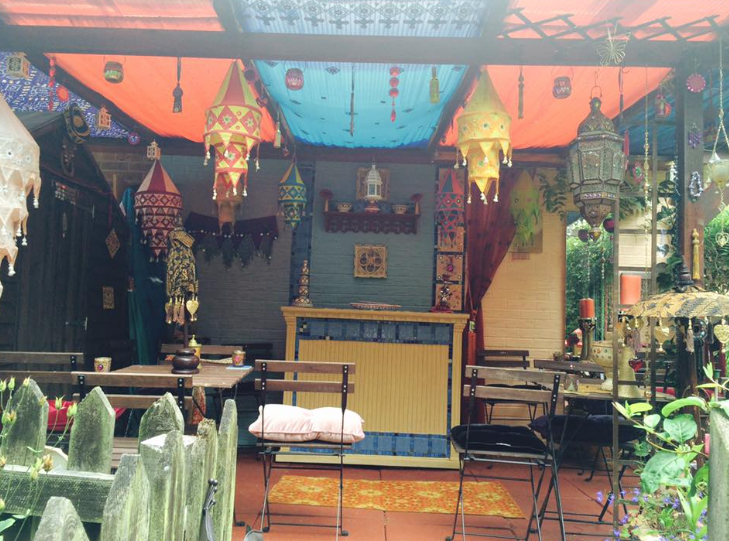 Then you can lounge in the Moroccan Bar at the end of Debbie’s garden. If you bring a bottle of bubbly, we can provide the glasses for you. Call 0121 241 0728 to find out more about making your hen party a really special occasion. Belly dance birthday parties, even just a girls get together can be catered for. This short little belly dance combo which links some phrases in Zeina. Debbie also talks about the call and answer within the music. Video one call and answer with music. Visit our Sutton Coldfield Belly Dance Facebook page. We post lots of free belly dance lessons for you to master at home. You can learn belly dance to Shakira’s music. You can learn bellydancing to a Turkish pop piece here. 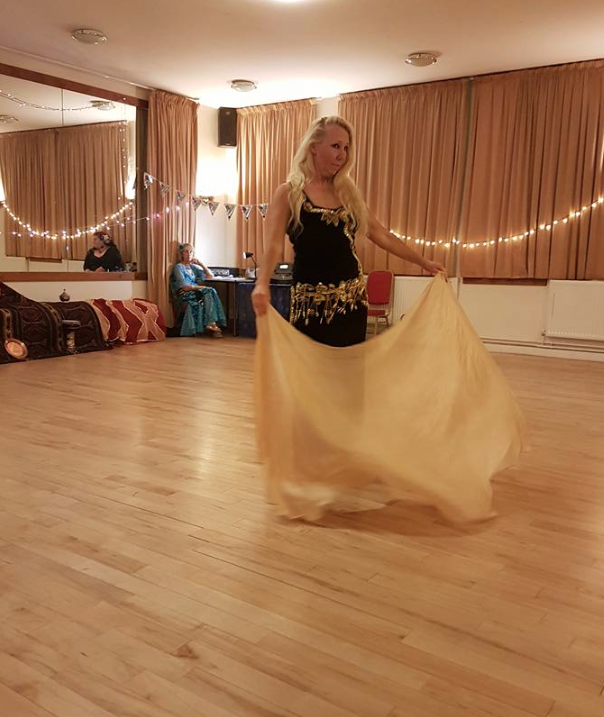 Learn over 40 belly dance moves as Sutton Coldfield belly dance teacher makes it easy for you to follow. This entry was posted in Belly Dance Classes, Belly Dance Workshops, Erdington Belly Dancing, Free Online Belly Dancing classes, Hen Party, Sutton Coldfield Belly dance and tagged Belly dance classes Birmingham, belly dance classes sutton coldfield, Belly dance teachers in birmingham, Belly Dancing classes, Birmingham bellydancing Hen Parties, Egyptian, Sutton Coldfield belly dance Hen parties, Turkish. Bookmark the permalink.